The overall objective of plant breeding is to improve the plant species. For forages, breeding objectives include higher yield, higher quality, greater vigor and persistence, resistance to pests, and greater tolerance of climatic and soil conditions. These traits are specific and can be measured. Within a few growing seasons, success can be determined. Improvements in yield can most easily be demonstrated. Breeding for higher quality is more difficult to measure. It requires laboratory analysis or animal feeding trials. Pest resistance testing is also difficult, since it requires exposure of the new cultivar to the pest in field or greenhouse studies. Tolerance of varied climate and soil conditions is evaluated by multiple location experiments. 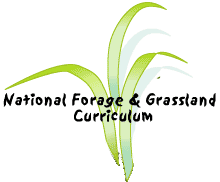 Forage producers are interested in reducing costs. Increased yields, improved persistence, and higher quality will increase profitability. Tolerance of climatic and soil factors and pest resistance are more helpful in certain locations and circumstances. Water use efficiency and drought resistance is important in many parts of the world. Irrigation systems are expensive and competing demands for water are now common between urban and agricultural needs. Forage managers must carefully look at their operations and determine which plant characteristics will have the most impact on reducing costs while yielding maximum benefits.